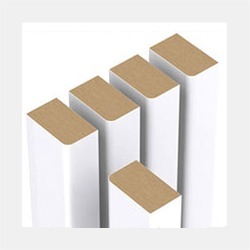 The FAUS wood squares are high quality complements, manufactured on MDF medium density board that gives them great dimensional stability. It is a product of high versatility that can be used in many parts of the house, furniture and carpentry and DIY, always dealing with interior projects. They can be used to crawl floors, as is the case with the nailed wooden floor, to scrape walls to place wooden or medium density wall coverings and even as a decorative object. It is also frequently used on shelves, in furniture, in works that need structure, as a support for the shelves of the cabinets, and as a complement for the elevation of the countertops. When making furniture, our squares are ideal to be used when making shelves, chairs, headboards, tables and work benches, as long as they are products for the interior. Another use that can be given to the squares is that of decoration, placing them as decorative elements in furniture and wood products, to add a touch of sophistication and design. Sophistication and design always linked to the quality of the material. 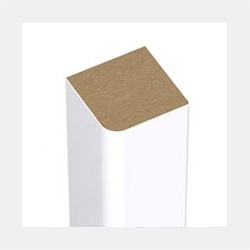 FAUS moldings and accessories are manufactured in various shades and sizes, meeting the requirements of any project. With lengths of 2430mm, widths ranging from 15mm to 25mm and thicknesses of 15mm. Dimensions that allow one piece to cover large lengths without the need for other units, making the interior design, carpentry or furniture project more economical. Manufactured with MDF medium density board, the material achieves great stability and resistance, being greater than that of wood. For this reason, it is a very used element to decorate and be used in hidden works to be able to place the battens for the walls and allow the easy installation of wall coverings and floors. Thanks to its tones in white, wenge, new oak, cherry, Sapelly Nevada, Daimiel beech, natural oak and aluminum grey, they are ideal for finishing any job. Also, with the squares of the appropriate width, any type of furniture can be made, offering several possibilities in the design of tables, cabinets, shelves and chairs. It is a complement very used by all the professionals of the sector of the wood and is always an ideal solution for any required situation.